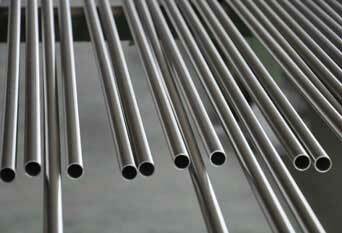 ISO Approved Manufacturer & Exporter of Stainless Steel Bright Annealed Tubing. Bright Annealing Stainless Steel Tubes, Stainless Steel Bright Annealed Tubing, ASTM A269 SS 310 Bright Annealed Tubing Dealer, 317 Stainless Steel Bright Annealed Tubes, 304L Stainless Bright Annealed Tubing, Stainless Steel 316L Bright Annealed Tube Exporter in India. Piyush Steel is a known distributor and stockiest of SS Bright Annealed Tubes, which is being made up from High Quality of Standard Raw Materials. Owing to the expertise and proficient team of diligent personnel, we are offering a wide and comprehensive range of these tubes. We have a pride in presenting a comprehensive collection of innovative, high-class and customizable Bright Annealed Stainless Steel Tubes by using state-of-art technology. We offer this Bright Annealed Stainless Steel Welded Tubing in different grades, thickness, size and specificationaccording to requirements of our customers. Meanwhile, the usual raw material in these Tubes is a round part preheated in a rotating system of heating or for superior diameters with a resonatingunitof pre-shaped in a perforation press that is after that pre-rolled in a revolving rolling mill. Aiming to satisfy our clients, we are engaged in offering a high quality ASTM A269 Stainless Steel Tube Bright Annealing Seamless Pipes. 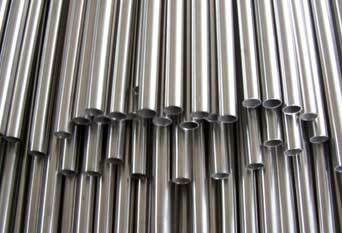 Stainless Steel 304 Welded Bright Annealed Tubes, ASME SA269 SS Bright Annealed Tubing, ASTM A269 Stainless Steel Bright Annealed Tubing, Welded Bright Annealed Tubing Supplier in Mumbai, India. 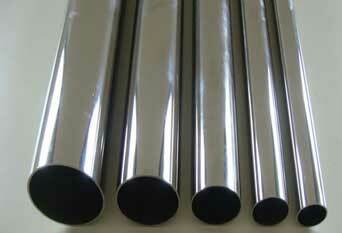 Most Reputed Manufacturer of Stainless Steel Bright Annealed Tube, Stainless Steel 321 Bright Annealed Tube, 317L SS Bright Annealed Tubing, Stainless 904L Stainless Steel Bright Annealed Tubes in India. Our range of Austenitic Stainless Steel 316 / 316L Bright Annealed Tubes is in conformation with the international quality standards and is thoroughly tested on various parameters before delivering to the clients. Designed according to the national and international standards, this Stainless Steel Bright Annealed Tubing is offered in made-to-order length sizes and shapes to our well-regarded customers. We as well offer this SS 304 / 304L Bright Annealed Tubing at finest possible market rates. These tubing are extensively used in different application industry such as Oil & Gas, Paper, Breweries, Cement, Sugar, Oil Mills, Mining, Shipbuilding, Steel Plant etc. Our range of Austenitic Stainless Steel 317 Bright Annealed Tubing has also been serving the requirements of the automotive, shipbuilding, oil and gas industries, power plants and related industries. These are as well used principally for conveying gas, oil, liquefied petroleum products, machine parts also structures, water, usually over relatively large distances. 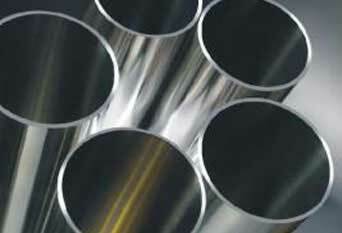 We Supply Stainless Steel 310 Bright Annealed Tubes of various origin’s and companies like Nippon Steel & Sumitomo Metal, Sandvik, Sanyo Special Steel, Kobe Steel, Schoeller Bleckmann, Salzgitter Mannesmann Stainless Tubes, Tubacex etc.